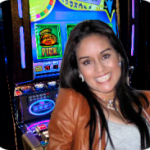 Double Diamond Slot Game by IGT: Take a FREE Pokies Spin Here. The Classics are always simple and stylish. They take you back to the days when things were simple and close to perfect. If you are looking for an online slot game with less of the bells, whistles and features, then Double Diamond pokies machine is the game for you. Double Diamond is the cassette tape of pokies games, it’s that simple yet still one to play and love. It’s one of the most played games in Vegas for over 40 years now. Unlike most online casinos today that have 5 slots, Double Diamond has just three. This IGT product has a simple look and lines that are clean. The graphics too are neat. The three reels have a purple frame which is more of an extension of the purple theme that the game incorporates. Each reel has the Double Diamond logo boldly engraved on them with classic lettering. This is a classic game and as you would expect, the symbols are not that complicated either. The main symbols you would come across are the bars, cherries and sevens. The wild symbol here is the Double Diamond symbol. With only three reels available, the game is pretty simple to play. That is why the payline for this game is only one. The first thing is to set your wager per spin. This can be simply done using the ‘+’ or ‘-‘ arrows that you will find underneath “Line Bet’. There are two options for spinning. You can opt for a single spin or you can settle for the autospin feature. 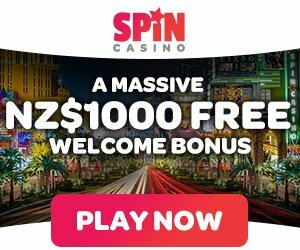 In just a couple of clicks, you can get up to 50 spins with the Autospin feature. As stated earlier, the wild symbol is the Diamond Logo. It substitutes all other symbols on the reels. When you land one and you have a winning line, you get 2x your win. if you land two of them, you will earn 4x your win. 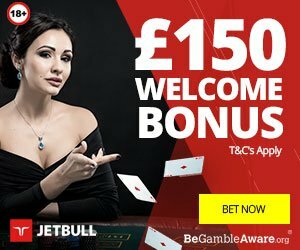 Three wilds gives the top price – multiplies your stake by 1000. Landing a cherry will earn you the lowest win since it will only multiply your stake by 2 only. This game is simple but brings with it loads of entertainment that anyone who loves the classics would enjoy without a doubt. The animations are very nice and the sounds blend well with the theme. The one payline might make one really underestimate the game by thinking that it pays poorly. This is just an illusion that is misguided. The game has a promising return rate of 96.44% or more. Winnings come more often than one would expect. 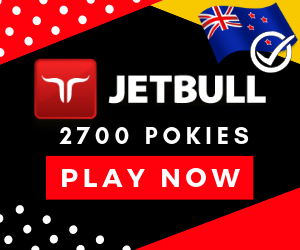 So if you are a New Zealand player online slots fan and you want a feel of the old school classics, Double Diamond is the game to play.